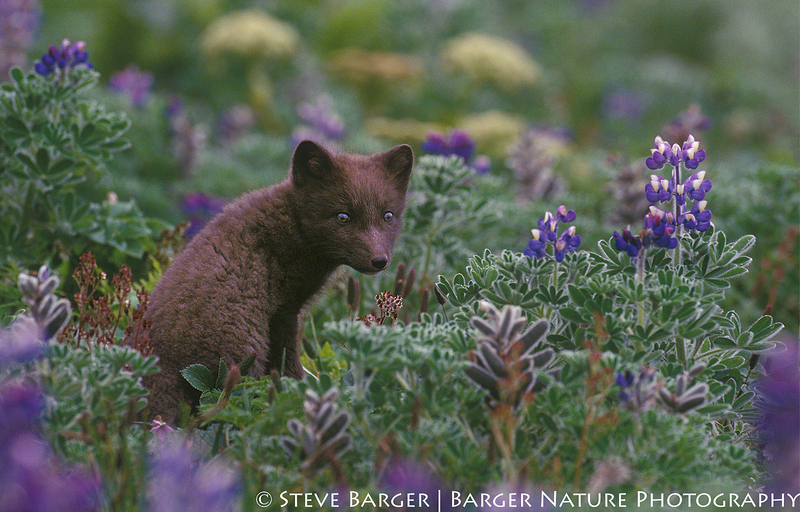 Blue phase Arctic Fox kit posing in a bed of lupines on St. George part of the Pribilof Islands Alaska. This week I am featuring another arctic fox image taken a number of years ago while visiting the Pribilof Islands, located in the Bering Sea off the western coast of Alaska. Siberia is located just 500 miles to the northwest. The Pribilofs consist of two main islands, St. Paul and St. George and are home for fur seals, blue phase arctic foxes, and various seabirds such as horned and tufted puffins, kittiwakes, murres, and auklets. The islands are relatively small comprising a combined area of less than 100 square miles. Approximately 400 people inhabit St. Paul while St. George has less than 200 residents. The weather on the islands is cloudy for two thirds of the year which makes access of the islands by aircraft difficult, but is great for photography producing soft diffuse light. Arctic foxes occur in both blue and white color phases. The blue phase is common to the Aleutian and Pribilof islands. Their coats remain dark-colored all year. The white phase foxes begin to shed their white coats in April. By June, its upper body is covered with short brown fur while its underneath side is covered with a yellowish-white-colored fur. In November, their fur has changed back to the thick fluffy white color. Earlier, I had featured images of the white phase arctic fox while this image is a blue phase arctic fox. I had noticed several young arctic foxes playing in a field of lupines near an old shipping container. I believe that they had made a den under the container. Returning in the morning the following day, I set up my camera with a 500mm lens attached on a tripod in the field of lupines near the shipping container and quietly sat down to wait for the foxes to return. In less than an hour they began to appear. 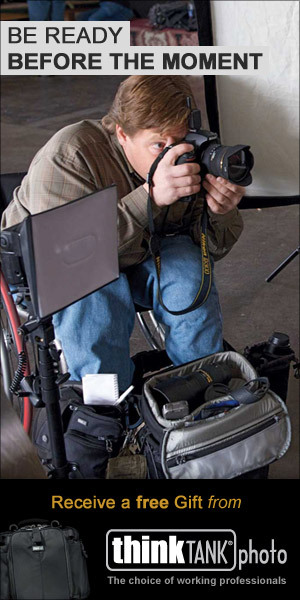 It didn’t take long for them to notice my large lens with me sitting behind the lens. Being careful to remain seated on the ground behind my camera and not making any sudden movements, the kit foxes quickly became relaxed and comfortable with my presence. With their mother off hunting, and being left unsupervised, their curiosity got the best of them. They would run up to within 20 feet of me, briefly pause, then run back toward their den where they would sit down in the field of lupines looking in my direction. Part of the time I would photograph the foxes and part of the time I just sat and enjoyed watching their behavior. This continued for 15 to 20 minutes before they returned to their den to wait for their mother to return. At this point I decided to leave.